One of the first things I did after coming home from holiday (before even going in to the house) was to check the progress of my raised veg beds and veggie patch. I was shocked by how many weeds had grown in just a week! 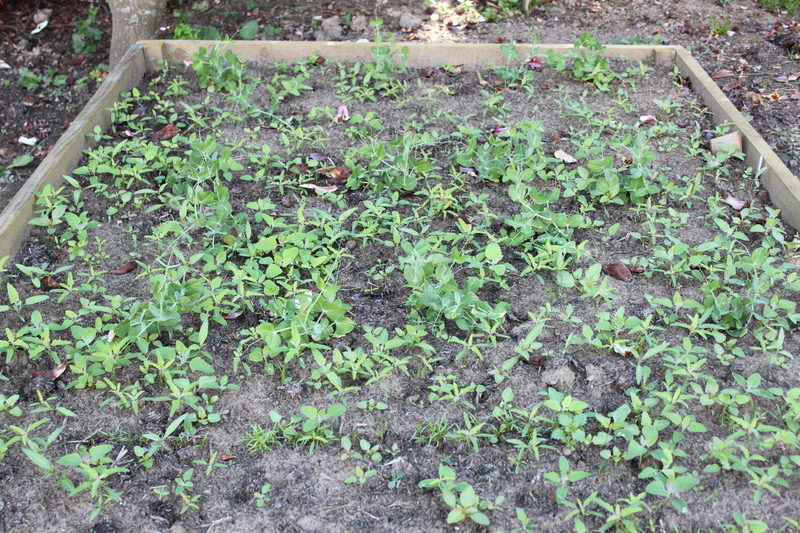 It is hard to work out which plants are the peas, carrots and radishes and which are the weeds. Admittedly the weeds in the veggie patch have been growing for more than a week! Buried in there somewhere are beetroot, swiss chard, courgettes, sweetcorn, French green beans, helda beans, peas, potatoes and broad beans. And loads and loads of weeds. Well it was a lovely sunny day so I set to it. I really enjoy gardening so it was not a chore. It was very satisfying to see such a great result, it was good exercise as it involved lots of bending and stretching and I was outside. I would always choose to be outside rather than inside. 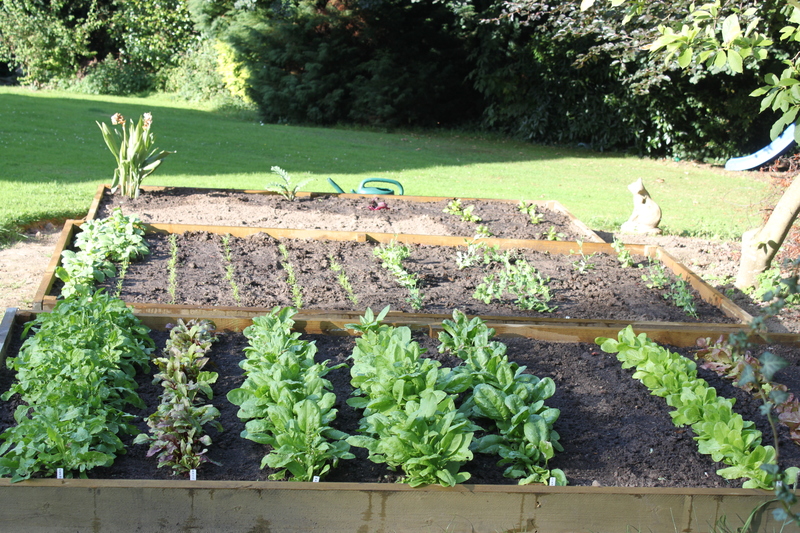 So after a lot of balancing and stretching and careful weeding, the 3 raised veg beds looked great. I feel bad for neglecting the plants. I was like a child with a new toy; I abandoned the trusty old veggie patch when my new raised veg beds were built recently. 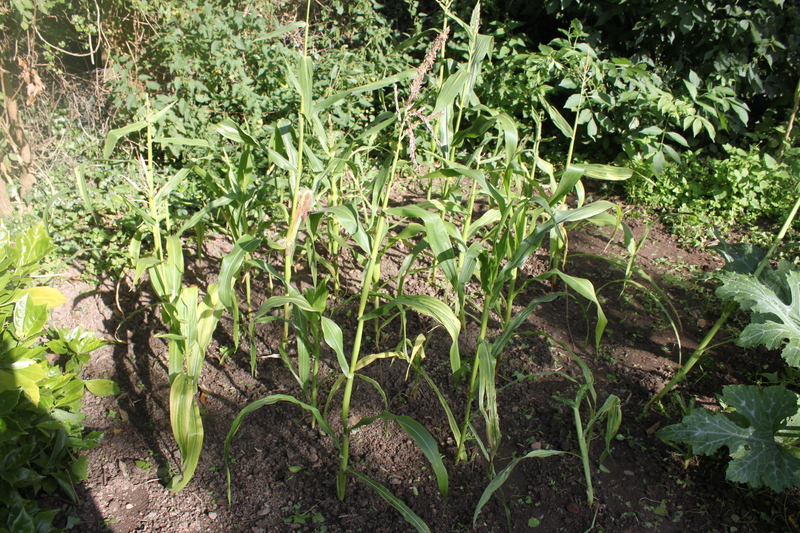 Despite that, the sweetcorn has persevered. It’s a bit straggly but there are corn cobs growing :-). And they were treated to a very long watering session and lots of fertiliser. There is more to do to release the other plants from their weedy entrapment but that will happen another day. So how did I do with the family food today? Well, we all ate healthily today and I ended up with a point to spare and lots of activity points in the bank. There was only one thing I wanted for breakfast. In Turkey we ate juicy and full flavoured sweet melon, peaches and apricots but I really missed the great British berry. I love all berries, especially strawberries. So this morning I had a smoothie made with strawberries, banana, soya milk and a tbsp of tahini (for protein and fat). It was delicious. And adding the tahini meant it sustained me until lunch time. 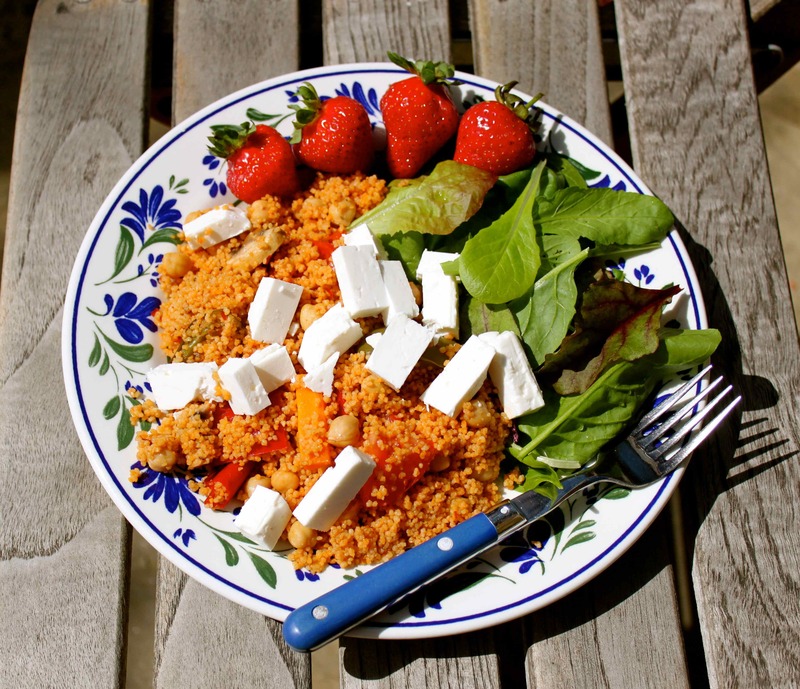 Lunch was left over Moroccan couscous with harissa and chickpeas, to which we added feta cheese and salad leaves and spinach from the garden. The leaves are so fresh and flavoursome they need no dressing, mayonnaise or salad cream. 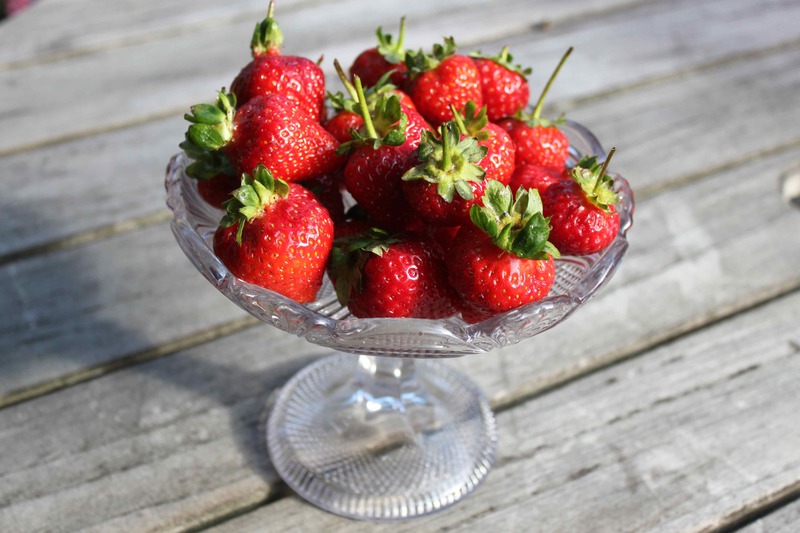 And some more strawberries. 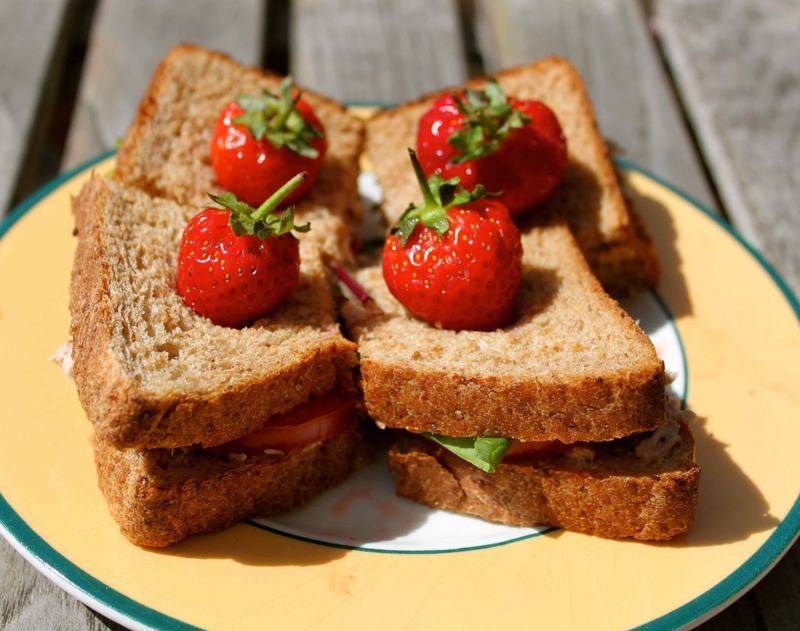 The little fella didn’t want couscous again and he can’t eat dairy so he had a tuna, spinach and tomato sandwich on wholemeal bread. He garnished his sandwich himself and took his own photo. 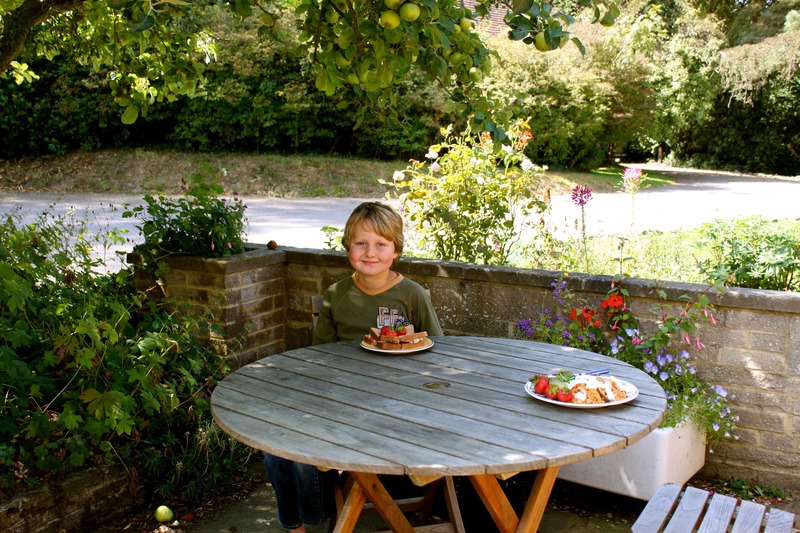 We ate lunch in the shade of the apple tree. Daughter joined us too but she declined to be photographed. Hubby was at work so couldn’t join us but he is now on holiday so he will be with us for the next 2 weeks. I love having lunch outside on a sunny day. Supper was spaghetti bolognese. Nothing else. No salad or other additions. Just homemade bolognese sauce (onion, garlic, lamb and beef mince, rose harissa sauce to jazz it up a bit, sundried tomato paste, passata and fresh tomatoes) and spaghetti. This does not really come under the very healthy category as it was white spaghetti and the sauce was high in saturated fat. But I was reminded that I can not impose a radical new regime on my family. They have been really supportive and open minded about trying new meals but they still want some old favourites. And so do I. 2 Responses to It’s a jungle out there! Zoe I want to come and live with you and eat all those delicious meals! I will be following your blog mainly to learn about planting for my new allotment area. You had mentioned I could plant out some lettuce and brussel sprouts? Please post your veggie plantings so I can tend the earth and slave over a stove alongside you. I love your blog; very colourful and inspiring. to veg gardening so am no expert but let’s learn together. I have asked people unashamedly if I can see their veg gardens and am grateful for all their help and useful tips. You can definitely plant lettuce now and spinach. Try peas too as even if it’s too late for the actual peas, you can eat the young plant in salad. 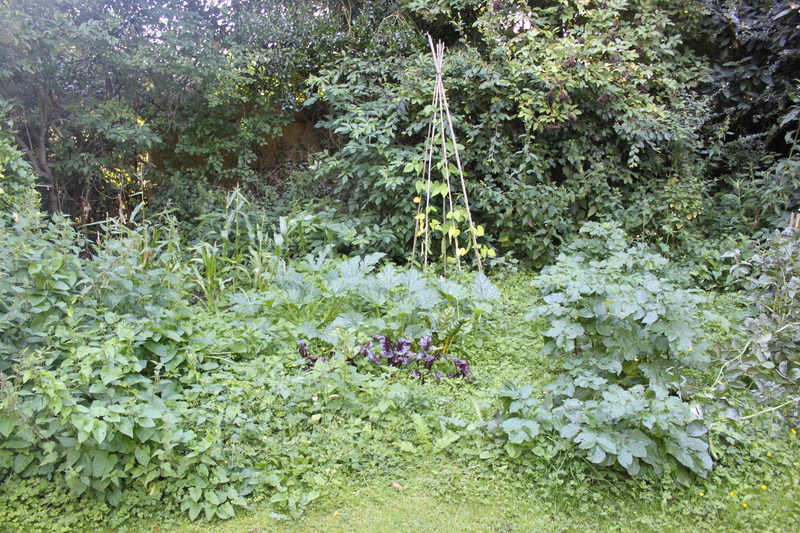 I buy my seeds from the Organic Gardening Catalogue – http://www.gardenorganic.org.uk and have been really pleased with results so far. I am not sure about Brussels. I think you are too late for seeds but look for plants in a garden centre. 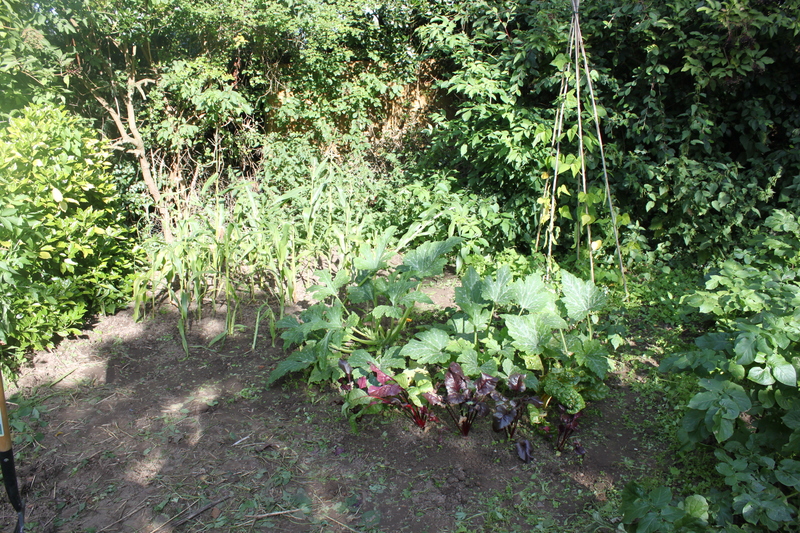 And check out what the others are doing on the allotment.